Sean Bartolucci always wanted to run up the famous Rocky Steps but he pledged to do it only when he was cancer free. 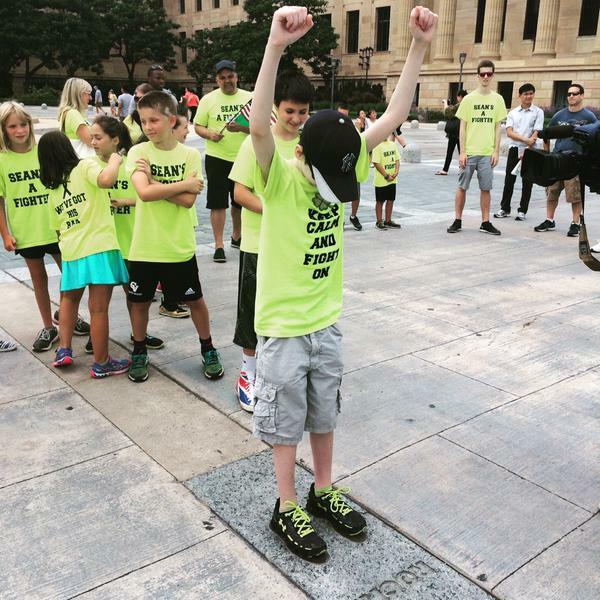 CENTER CITY, Pa. -- 13-year-old Sean Bartolucci, like many people who visit the Philadelphia Museum of Art, came to run the Rocky Steps. "We were in Philadelphia when I got diagnosed so this was one of the first things that came to mind," said Sean. His diagnosis was neuroblastoma. A softball sized tumor in his abdomen required 18 months of treatment, mainly at Children's Hospital of Philadelphia. The 8th grader, from outside of Harrisburg, says he made a pledge to run these steps only when he was cancer free. "It's been tough but believe it or not he's the one who got us through it as much as we got him through it. And I tell everyone when I grow up I want to be half as strong as him, hopefully," said Chris Bartolucci, father. If you've ever climbed the famous Art Museum steps, you know it can be kind of exhausting. But Sean says after five rounds of chemotherapy, 20 rounds of radiation, and a stem cell transplant - this is no big deal. He ran the steps, two at a time, surrounded by family and friends - a sight that would impress Rocky himself. "What a great moment to get him here, not just the steps - it's monumental - but the journey he's been on the last 18 months. He fought hard," said Michele Bartolucci, mother. It was an emotional day for the dozens of family members and friends, who not only ran the steps, but supported him through treatment. "He was in pain, and now he's completely done," said Jack Kennedy, cousin. "It just further proves that I have such an amazing community, such an amazing family, and so many amazing friends to lean back on if I ever need to," said Sean.